In 1982, Dr. John Jauchen (Help for Christian Nationals) was ministering on the remote island of Mindanao in the southern part of the Philippines. He noticed that good study tools were rare and in great demand. Responding to the requests of Filipino pastor-friends there, Dr. Jauchen made an informal study of the major Study Bibles available at the time. It has no study notes, requiring the student to rely on the Holy Spirit for his primary understanding of a passage. The Thompson Bible has more than 600 pages of reference material including a concordance, maps, and biographical helps. Its foundation is an excellent study system, containing more than 4,200 topics, organized in an easy-to-use fashion. This study system facilitates the preparation of message series in a short amount of time. Using this Bible, the servant of God can preach topical, verse-by-verse, and biographical messages; all for the building up of strong Christians who will reproduce themselves in the lives of other people. 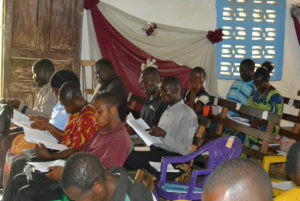 Since 1982, more than 110,000 pastors, evangelists, missionaries and local church workers have been equipped and trained in Latin America, the Philippines, India, Russia, and now Africa. Training is also being provided to Hispanic pastors here in the United States. 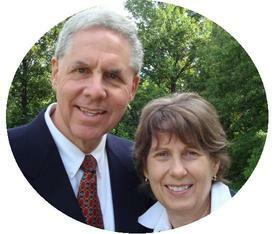 In 2005, Chuck Ballard conducted the first Thompson Bible International Institute in Africa in the city of Moundou, Chad. 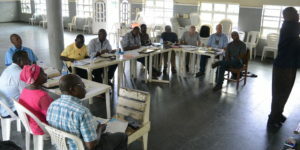 Subsequently, the Lord led Chuck to leave full-time pastoral ministry in 2008 to begin African Pastoral Training Ministries with the vision of multiplying this short-term, high-impact, training throughout continental Africa.